Posted 7 months ago by Manik. 206 views. Wants to join a band in Delhi, Delhi, India. 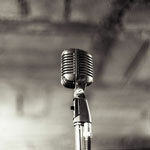 Wanted: Singer in Delhi, Delhi, India. Posted 6 months ago by Ashish15, 131 views. Wanted: Drummer, Guitarist - Lead in Delhi, Delhi, India. Posted 11 months ago by gurveen, 355 views. Available: Guitarist - Acoustic, Guitarist - Rythm, Singer in Delhi, Delhi, India. Posted 11 months ago by Surajdhull, 377 views. Available: Bass Player, Drummer, Singer in Delhi, Delhi, India. Posted 3 months ago by Paari, 130 views.